This Casino Photo Standee is a real hit! Our exclusive Casino Photo Stand In features the king of hearts and the queen of diamonds. Best of all, the casino photo op can be personalized with your own custom text and has pre-cut holes for your party guests faces. 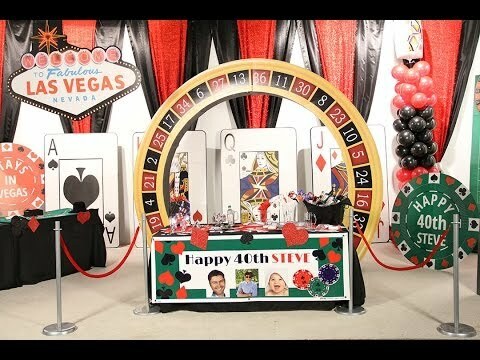 Grab your camera and capture the fun of your casino or Vegas themed party with the Casino Photo Stand In.